We search worldwide and examine thousands of diamonds in order to hand-select the few that stand out from the rest. This insures that only the finest diamonds are shown to our customers. We never select a diamond without seeing it first. We reject hundreds of diamonds that have “beautiful” lab certificates, but do not have that “beauty” when examined in person. Our strict, hands-on grading screens out poorly cut diamonds, diamonds that are misgraded, and diamonds that are cloudy or hazy. 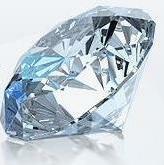 Click here to see just 2 examples of the many diamonds we reject. Each diamond is unique, and has its own personality. You are choosing a special diamond to celebrate a life event. We do the legwork to narrow the field to only the best diamonds at the best values. You will find the diamond that is perfect for your special occasion, without any guesswork, and at a better value than you can find anywhere else.